It is slow here right now with lots of flowers, but nothing I haven’t flowered a hundred times before. 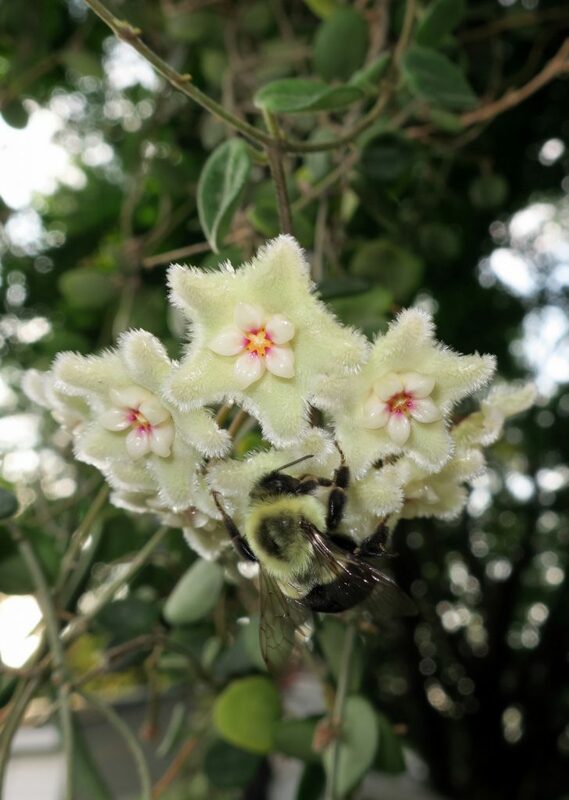 With that in mind, I caught this bumblebee on some H. serpens flowers this week, and thought it was pretty cool. This entry was posted in Hoyas on August 22, 2016 by Doug.